The wars of the roses continued into the 21st century, but were rudely interrupted for a couple of years, when Yorkshire fell out of the top division in 2002. In a beautiful demonstration of northern solidarity, the red rose lovingly decided to join the white rose in the dung heap of English county cricket, namely Division Two of the County Championship in 2005. Both lovers returned to the elite in 2006 to continue cricketing hostilities avec one another. During this era: YORKSHIRE 3 wins, Lancashire 2 wins, 13 draws. Yorkshireman Gary Keedy tormented his old county with a match return of 7-88 from forty-seven overs! Only five balls were bowled on the first day and none were bowled on the final day of this weather-interrupted fixture. Darren Lehmann plundered 300 runs in this match during 399 minutes of batting from 312 deliveries. Lancashire versus YORKSHIRE; at Old Trafford; 7-10 August 2001; Lancashire won the toss. Centurions Craig White and Matthew Wood shared a first wicket stand of 309 as the Tykes achieved back-to-back wins. YORKSHIRE versus Lancashire; at Headingley; 19-22 July 2002; YORKSHIRE won the toss. Lehmann and McGrath added 317 for the third wicket and Glen Chapple had another fine match against his old county. Lancashire versus YORKSHIRE; at Old Trafford; 14-17 August 2002; YORKSHIRE won the toss. Swann had recorded back-to-back centuries against Yorkshire. His ton here contained 19 fours. YORKSHIRE versus Lancashire; at Headingley; 8-11 June 2005; Lancashire won the toss. After a glut of runs from Iain Sutcliffe, Hoggard and Kruis astonishingly put on forty-six unbeaten runs to avoid defeat! Lancashire versus YORKSHIRE; at Old Trafford; 16-19 August 2005; YORKSHIRE won the toss. Chilton and Sutcliffe put on 223 for Lancashire's first wicket. However, Craig White was equally prolific with bat in hand. YORKSHIRE versus Lancashire; at Headingley; 16-19 May 2006; YORKSHIRE won the toss. Having been asked to follow on, Yorkshire safely secured a draw. Half of the first day was unavailable for play. Lancashire versus YORKSHIRE; at Old Trafford; 8-11 August 2006; Lancashire won the toss. 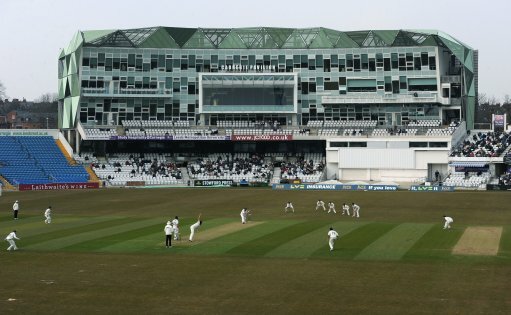 Gary Keedy bowled fifty-nine overs in Yorkshire's second innings as the contest petered out to a draw. Lancashire versus YORKSHIRE; at Old Trafford; 8-11 July 2007; Lancashire won the toss. No play was possible on the first two days, thus rendering this encounter an anti-climax. YORKSHIRE versus Lancashire; at Headingley; 9-11 August 2007; YORKSHIRE won the toss. The red rose won their first county championship fixture against the white rose since 2000 in emphatic fashion. YORKSHIRE versus Lancashire; at Headingley; 30 May - 2 June 2008; Lancashire won the toss. Three of Lancashire's top six batsmen were dismissed for a duck while the other three made big scores! Lancashire versus YORKSHIRE; at Old Trafford; 12-15 August 2008; Lancashire won the toss. No play was possible on the first day as the inclement weather ruined both roses matches in this summer. Lancashire versus YORKSHIRE; at Old Trafford; 31 July - 3 August 2009; YORKSHIRE won the toss. Andrew Gale had a fine match with the bat, but his team were outplayed during the first three days of this draw. YORKSHIRE versus Lancashire; at Headingley; 19-22 August 2009; Lancashire won the toss. Yorkshire failed for the eighth successive time to record a county championship win against Lancashire. YORKSHIRE versus Lancashire; at Headingley; 29 May - 1 June 2010; Lancashire won the toss. No play was possible in days one and four of this stalemate, but Tom Smith will have fond memories of this match. Lancashire versus YORKSHIRE; at Old Trafford; 28 June - 1 July 2010; YORKSHIRE won the toss. Anthony McGrath compiled a couple of half centuries while number ten batsman Kyle Hogg hit a surprise 88.